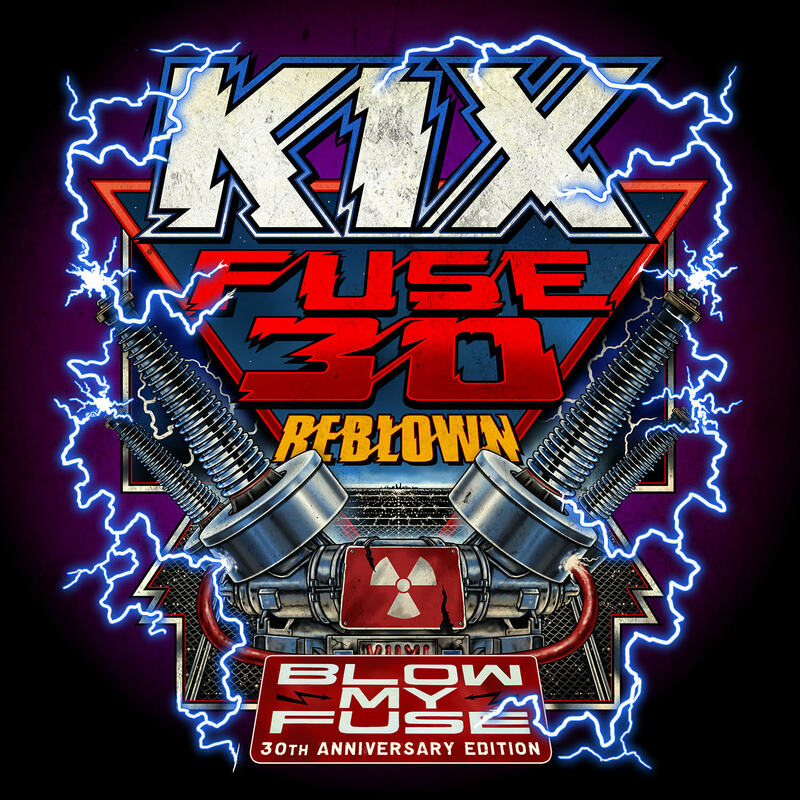 Thirty years ago Kix exploded on the global hard rock scene with its iconic fourth album, Blow My Fuse. While the quintet had already garnered a massive regional following on the East Coast and a healthy underground fan base elsewhere, Blow My Fuse became the album that connected the dots. The entire album resonates with a sonic sense of kinetic energy and boundless charisma. Much of this is the result vocalist Steve Whiteman’s ineffable magic. His presence and quirky magnetism radiate through each song. This combined with the stunning twin guitar attack of Brian “Damage” Forsythe and Ronnie “10/10” Younkins made for an album of riff-driven addictive ear candy. On September 21st, the boys will re-issue Blow My Fuse in 30th anniversary package, 2 CD set: Fuse 30 Reblown – 30thAnniversary Special Edition. Completed exclusively through PledgeMusic, Kix tapped legendary producer Beau Hill (Alice Cooper, Ratt, Europe, Warrant) to remix Blow My Fuse. Hill had originally worked with Kix on its 1985 album, Midnite Dynamite. Hill does a masterful job on Fuse 30, bringing the album into the new millennium without taking away from eclectic elements and raucous energy that made the original so memorable. Jay Frigoletto (Alice in Chains, Tesla) came in to master the album, adding the perfect finishing touch. It is a difficult proposition messing with an album of near perfection, but three decades later Blow My Fuse is reignited and more powerful than ever. For die-hard fans, the band even added a second disc of the 10 demo recordings for each track on the album. Blow My Fuse is packed with infectious tunes from beginning to end, opening with propulsive rocker, “Red Lite, Green Lite, TNT” and followed by the roller coaster juggernaut of “Get It While It’s Hot,” and the bombastic swagger of “No Ring Around Rosie.” Drummer Jimmy “Chocolate” Chalfant serves as the band’s secret rhythmic weapon. The album slows its pace for the anti-suicide power ballad, “Don’t Close Your Eyes” which became a staple on MTV and stands as the band’s highest charting single, landing at #11. A song that may be more relative and impactful today than it was 30 years ago. The adrenaline drive returns for “She Dropped Me the Bomb” and the band’s mammoth single, “Cold Blood.” All of these songs remain fan favorites and concerts staples, along with the album’s title cut. The remaining three songs; “Piece of the Pie,” “Boomerang,” and “Dirty Boys” are no slouches either. There is simply not a weak track on Blow My Fuse which is why it has stood the test of time. 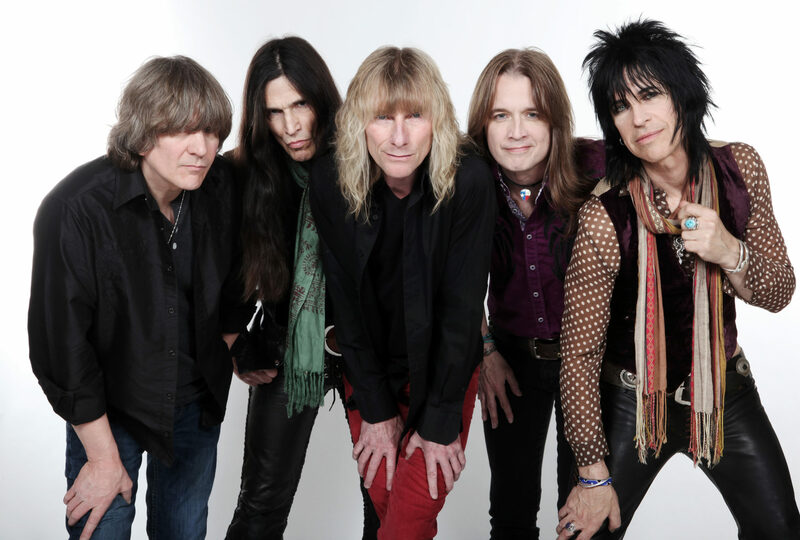 Four decades into its heady career, Kix continue to electrify fans with new music, having released the stunning studio classic Rock Your Face Off in 2014. Now 30 years after its initial September 19, 1988 release, the band gifts fans with the dynamic rebirth of it platinum masterpiece, Blow My Fuse – Fuse 30 Reblown – 30th Anniversary Special Edition.